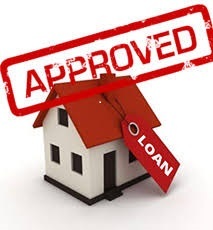 Good news to help alleviate bad news…North Carolina, one of 19 states hit hardest by the subprime mortgage crisis and declining housing prices, receives targeted aid for both down payment and mortgage assistance. Let’s concentrate in this post on the down payment assistance program. A future post will look at the two mortgage assistance programs available for North Carolina homes. The Department of the Treasury established the Hardest Hit Fund in 2010 to finance this program. The $15,000 down payment comes in the form of a deferred, forgivable 5-year loan at zero interest. The loan is forgiven at a rate of 20%/year every year that the buyer(s) stays in the home. The loan is fully forgiven after 5 years. In order for the property to be eligible to purchase through this program, the sales price must be at or below $245,000. The property must also have been previously owned. This special down payment assistance program may make the dream of home ownership a reality for a person who has been living responsibly, paying her/his bills on time and who needs a little help with the upfront costs of buying a home. At TeamHeidi our Realtors and lenders are extremely familiar with this program. Some Realtors aren’t even aware that that this program and money is available. Choose to work with the team that’s in the know and working in your best interest today. Call today to speak with one of the team buyers specialist. 704-458-4636.